Stewart has been a qualified accountant and in practice for over twenty five years, with experience of a wide range of tax issues affecting people on a personal and professional level. Stewart regularly supports local football and is a Season Ticket holder watching Cardiff City F.C. 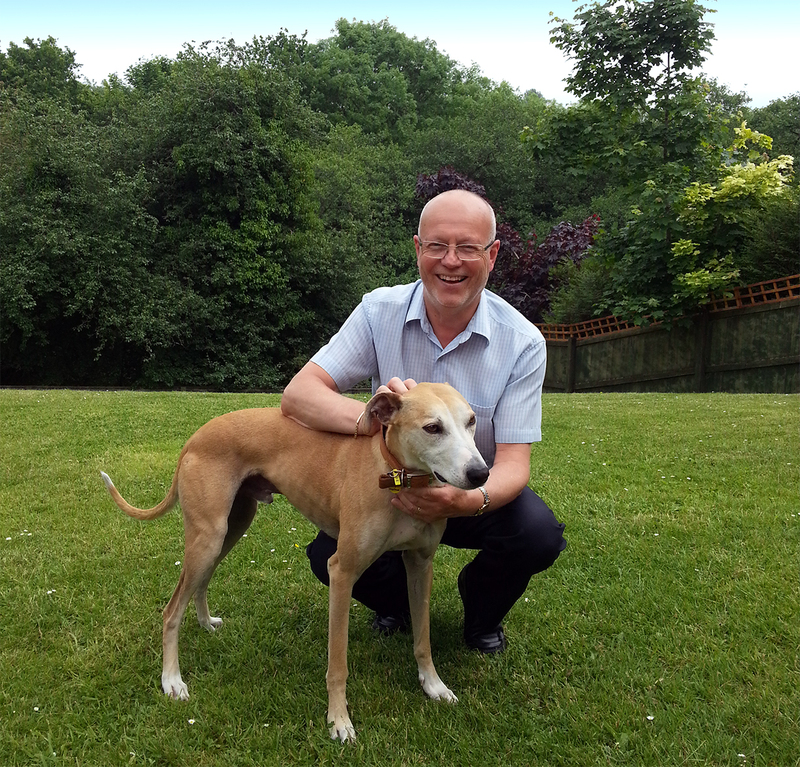 Stewart is also a dog lover and has always gone to Dog's Trust to find a worthy canine to become part of the family. This is the latest member of the Hammond household, 'Handsome Hudson' to keep Stewart on his toes! - Reg'd by Association of Chartered Certified Accountants. Make sure that your Personal Allowances in a Tax Year are used fully. Personal allowances CANNOT be carried forward to a later tax year. For Capital Gains tax purposes, ensure that, where possible, transactions are carried out at the beginning of the tax year (after 6th April) in order to gain the maximum amount of time before paying tax to HMRC. e.g. If you sold a second property after 6th April 2017 - any tax liability would not be payable to HMRC until 31st January 2019! If you are an employee using your own car or van for your employers business*, make sure that you claim the full tax-free mileage allowance payment of 45 pence/mile for the first 10,000 miles. If your employer is re-imbursing you for less than this amount - then you need to claim tax relief on the difference from HMRC. * not applicable to normal travel between home and work. If Funding is required, then we have excellent links with the major High Street Banks together with good contacts within the secondary Lending Sector. We have helped many clients achieve successful and speedy Funding applications. Hammond and Co can also provide help and advice with your Business Plans; Cash flow Forecasts and Budgets. Not sure if you need an accountant? Stewart Hammond offers a free half-hour consultation - so you can judge for yourself.